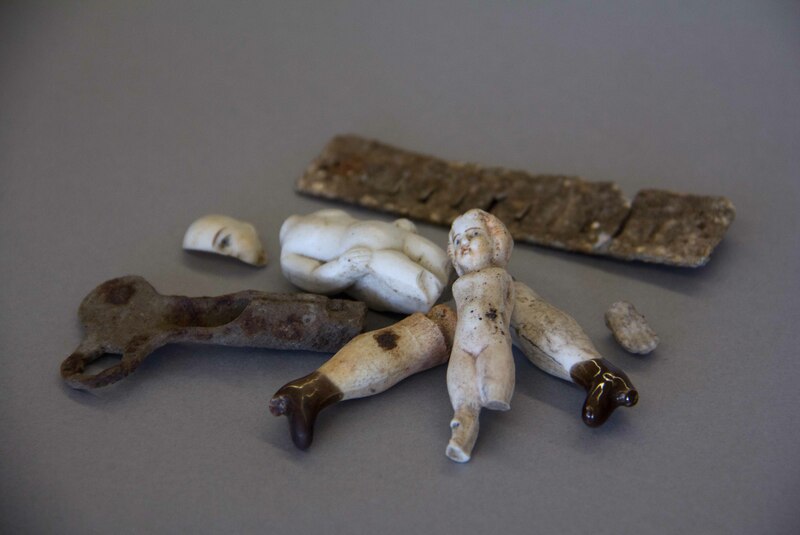 Department of Cultural Affairs Media Center :: Media Bank :: The Museum of Indian Arts & Culture Announces Archaeology 101 Lecture Series :: Archaeological toy artifacts. Archaeological toy artifacts, broken doll parts, a rusted skate key, and a harmonica reed from Hotel China site in San Miguel County, New Mexico. Photo by Chelsea Dollar, MIAC Archaeological Research Collections.